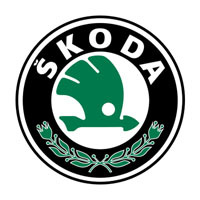 Our tailored car mats are designed to protect your Skoda from the harsh British elements while maintaining the style and high quality engineering we now expect from the brand. Manufactured and hand finished in the UK from superior grade materials, available in 3mm or 5mm thick rubber and with a choice of basic low cost carpet or a luxury wool twist pile, our tailored car mats are cut to the original Skoda templates and supplied with all the fixings needed for a secure and precise fit. Add your own text or logo or allow us to design one for you, and choose the colour, stitching, and material of the edge trim. Order today and receive swift delivery right to your door.